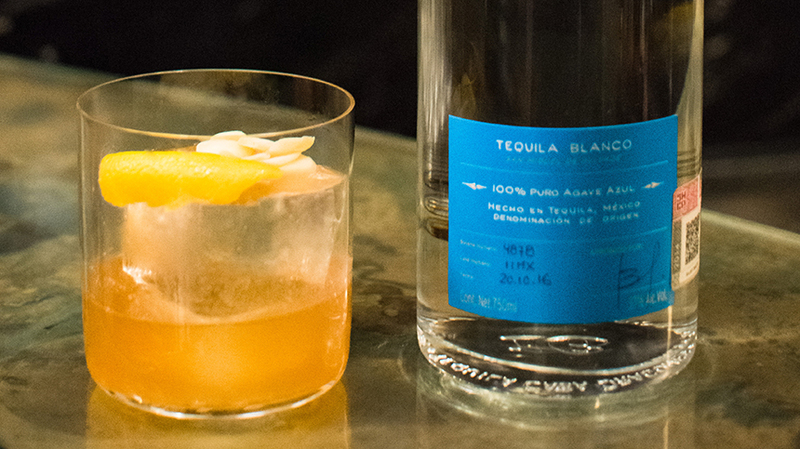 The Old Dragon cocktail from Mexican mixologist Raúl Torrecilla is an indulgent sweet treat. Torrecilla, of Corazón de Alcachofa, was inspired by his time at Casa Dragones Tasting Room during his bartending residency when crafting the Old Dragon drink. Torrecilla begins with an old-fashioned style of cocktail by adding sugar and bitters to the drink. He macerates the ingredients to create molasses before adding the Casa Dragones Blanco to marry the two ingredients together. The Old Dragon is an well-rounded traditional style of cocktail and the tones of chocolate, orange and sugar make it a perfect dessert alternative. Macerate the sugar and bitters until a molasses is created and add Tequila Casa Dragones Blanco. Add ice and bitters. Garnish with a lemon peel.